Download the latest edition of pathway. Artificial intelligence will transform the energy industry, but it is still unclear how energy suppliers, grid operators and technology providers can shape this transformation profitably and sustainably. 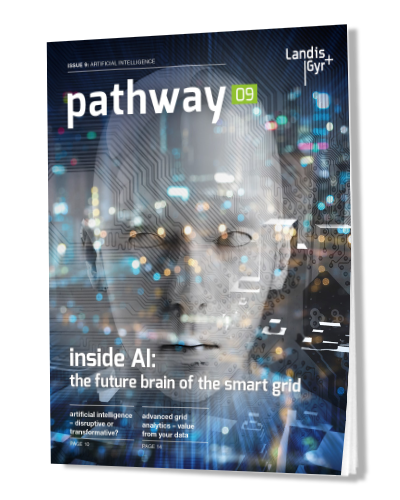 In this 9th issue of pathway, we aim to answer that question by taking a closer look at artificial intelligence with the help of recognized experts from different industries.